More to be update soon. - Can a low resolution image be enhanced for good quality print? > No. We tried a few market enhancement applications and tools. 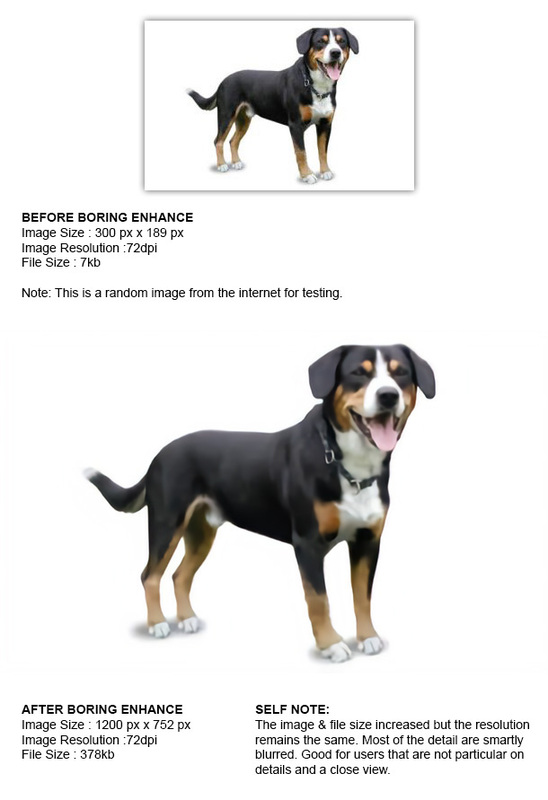 Using small image with details will be pixelated after enlarged so the only way to remove the pixelated area is to blur out or cover over. - Can a scanned photograph be enhance for good quality print? 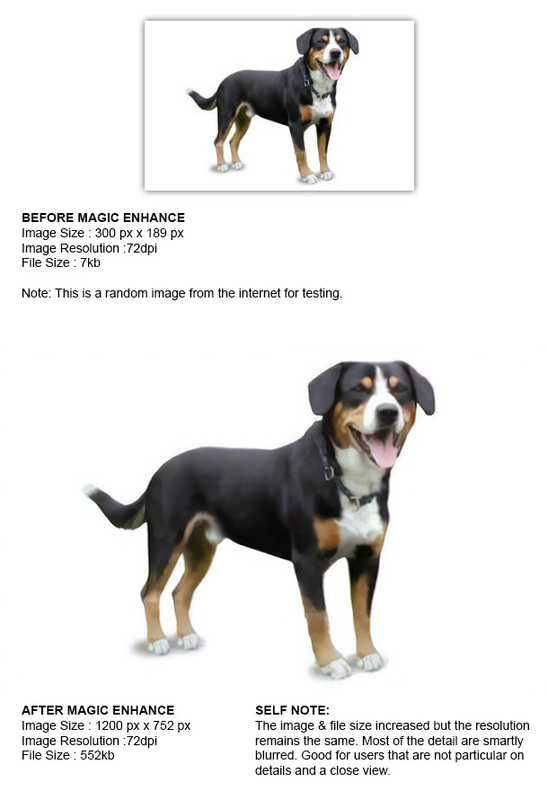 In the image: part 1, 2 & 3 differences between Magic Enhancement and Boring Enhancement test. You will be able to see the detail on Magic Enhancement have more detail vs Boring Enhancement still looks good but its up to individual acceptance.